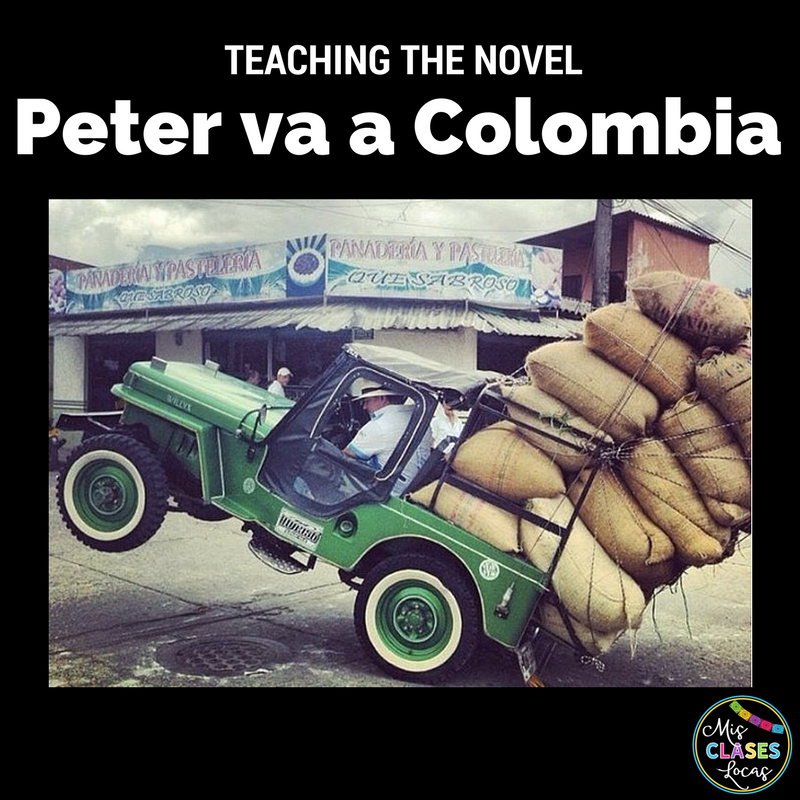 This year our last novel of the year in Spanish 1 is Peter va a Colombia. It is an awesome novice level reader by fellow Iowan Craig Klein. You can purchase the book here from his site Spanish Cuentos. I wrote about the novel last year here, as well as shared resources for the novel here. 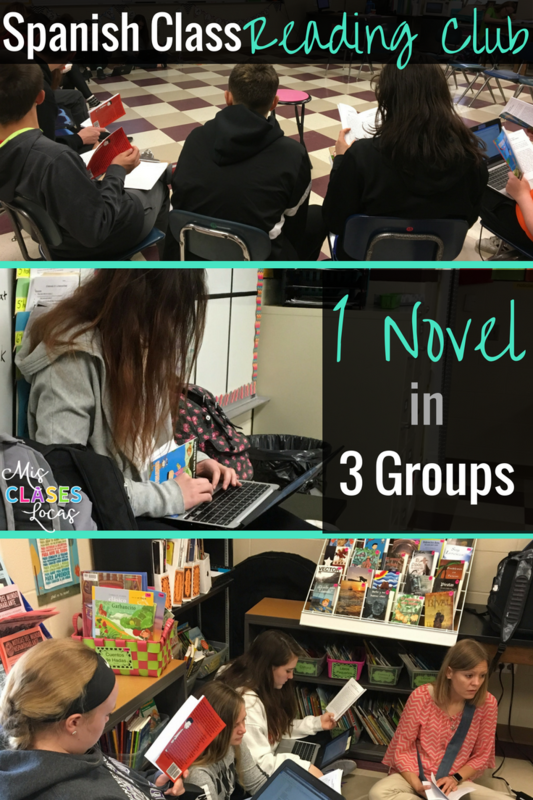 You can see our full curriculum this year in this post, but we have already read the novels Tumba & Brandon Brown Quiere un Perro. 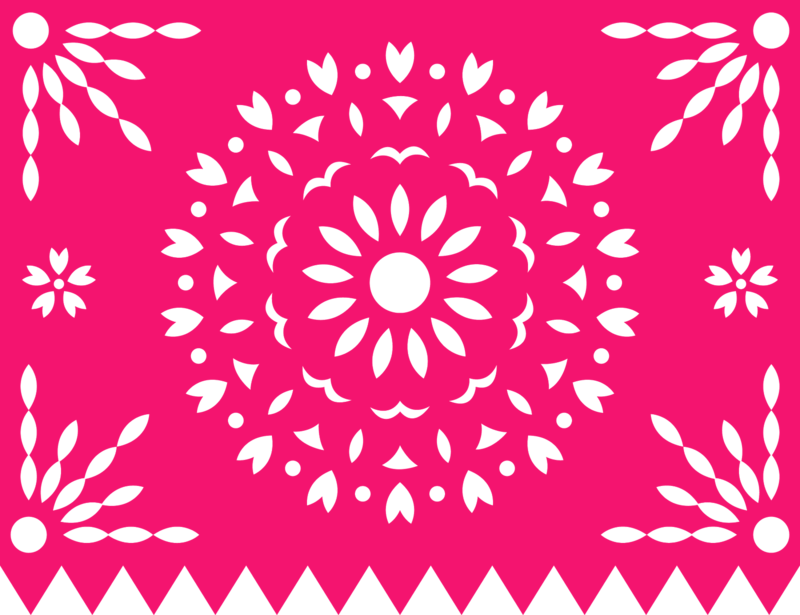 Before starting the novel we spent a full two weeks on cultural units relating to the study of Colombia. We completed the Biblioburo - Storytelling Unit from Martina Bex, as well as El Desfile del Yipao - Cultural Activities from Martina Bex. We also did an activity with the song La Bicicleta. These helped to get students ready for the novel and more familiar with the country of Colombia. After observing 2nd grade I was firmly convinced that I needed to try something different. After seeing amazing literacy differentiation in person, I figured it was time to try it myself with "that class." I have one level one class in particular that has a WIDE range of personalities and reading levels. It also has a para educator, and for the month, an instructional coach. Yet, I was not utilizing these other individuals to their full potential because neither of them speak Spanish. After my observation, I remembered a series of blog posts from the amazing Carrie Toth about her reading clubs. (Check them out and then come back: Reading Club - overview, Reading Club - Discussion Day and Reading Club Takeaways). Now that you have soaked up her wisdom, here is my (in progress) take on reading clubs in Spanish class. 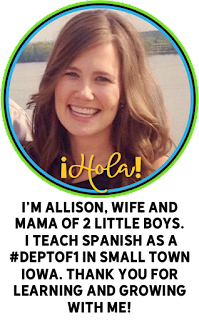 Last week I blogged about 10 Ways to Get Your Spanish Class Moving. Today I have one more to add to the list, 4 Corners (with a twist). 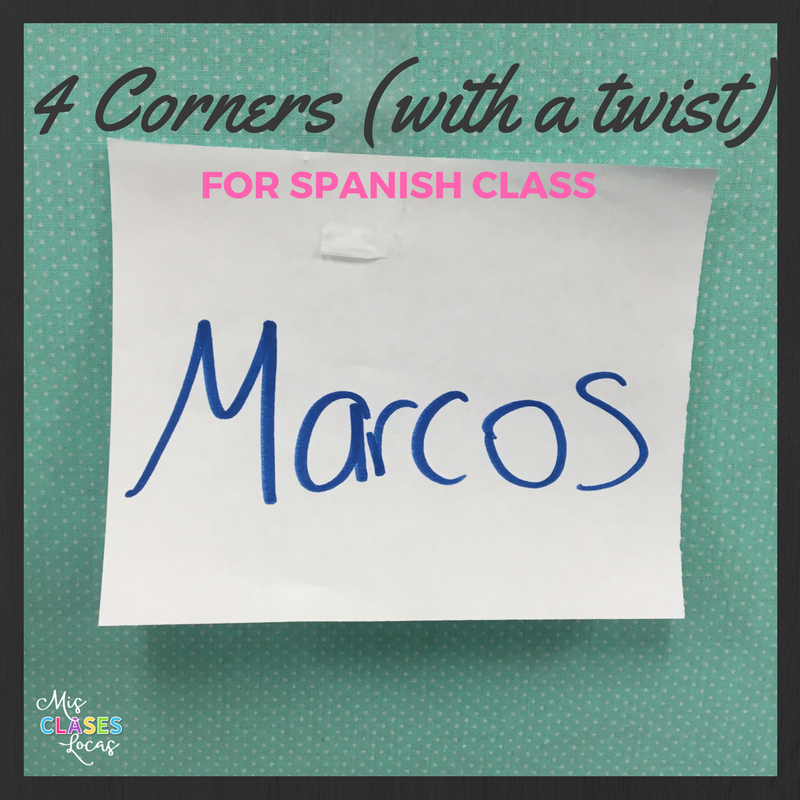 You can see a couple ways to play 4 Corners in Language Class below. The basic idea is to have four options, one in each corner. 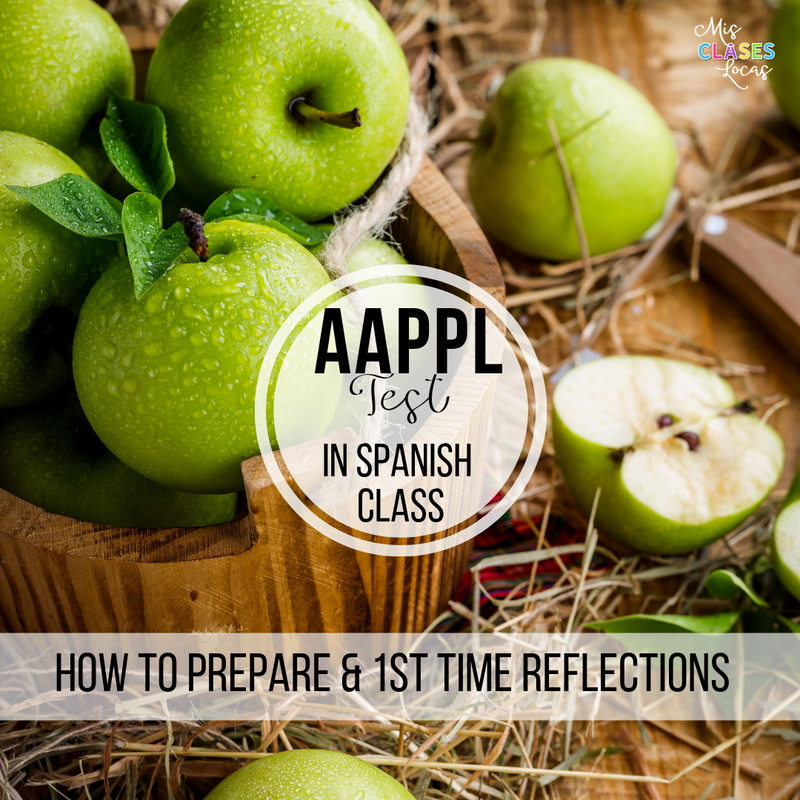 Using the pre-made templates from Creative Language Class in your room, you could do this as an activity to fill in some extra time at the end of class. We played 4 corners as a "who said it" activity after chapter 2 of Bianca Nieves y los 7 torritos, using four characters. I already had a list of who said it quote from the teacher's guide, that I had set to come up on my google slideshow one by one (Slide > Transition > by paragraph). I quickly wrote the four characters I wanted to use on paper and posted them in the four corners of the room. Have a list of who said it quotes, or items with choices.